What is "Slamming" and "Cramming"? "Slamming" is defined by the Federal Communications Commission (www.fcc.gov/cgb/) as the practice of switching a customers long distance carrier without his or her knowledge or consent. The Louisiana Public Service Commission defines "slamming" as the changing of an end-users telecommunications service without the end-users consent OR changing an end-users telecommunications service after obtaining consent based upon a misrepresentation or deceptive practices by the carrier, telemarketer or third party verifier, or any other agents or representatives of the carrier. "Cramming", as defined by the FCC, is the placing of unauthorized, misleading or deceptive charges on consumers telephone bills. How can I protect myself from being a victim of slamming? Carefully read all promotional material and all forms before signing, including sweepstakes, contests, promotional checks or other marketing devices. Review your telephone bill carefully each month and look for unfamiliar company names or logos. Never give out your phone number, social security number or any information about your phone service to an unknown caller. Ask questions of any telemarketer if you are unsure about what is being offered. Also ask for a name and phone number of the telemarketer. What should I do if I think I have been slammed? Call your local telephone company and tell them that you did not order service from the new long distance carrier and would like to be reconnected to your selected carrier immediately. Contact your selected carrier and report the switch and ask to be reconnected. There should be no charge for this reconnection. Call the company who switched your service and ask who authorized the change. If the company claims to have a signed authorization or recorded voice approval, insist on seeing a copy or hearing the recording. Ask them to reimburse you for any excess charges over what you would have paid with your regular carrier, as well as any fees associated with switching back to your selected carrier. File a complaint with the Federal Communications Commission, the Louisiana Public Service Commission, the Louisiana Office of the Attorney General or your local Better Business Bureau. You can find the addresses and phone numbers below. How can I protect myself from being a victim of cramming? Do not sign anything without first reading it carefully. Carefully read all promotional material and all forms before signing, including sweepstakes, contests, promotional checks or other marketing devices. Read your monthly bill thoroughly and look for any charges which cannot be explained or are unfamiliar. Be wary of 800 numbers advertised as a free entertainment service and 900 numbers. What should I do if I think I have been crammed? Immediately contact the company that placed the unauthorized charges on your bill and ask them to explain the charges. Request an adjustment to your bill for incorrect charges. Call your local telephone company about the charges and ask for an explanation of the procedures for removing the charges from your bill. File a complaint with the Federal Communications Commission, the Federal Trade Commission, the Louisiana Public Service Commission, the Louisiana Office of the Attorney General or your local Better Business Bureau. You can find the addresses and phone numbers below. 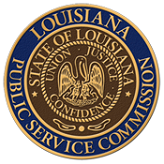 The Louisiana Public Service Commission has five District offices which handle all consumer complaints filed within each district. Click Here to find an address and toll-free telephone number for each of the five Commission District Offices and the parishes each represent. NOTE: Some parishes may be divided between two or more Districts.